Looking for that perfect gift to sew for your father or that special guy for Father’s Day? 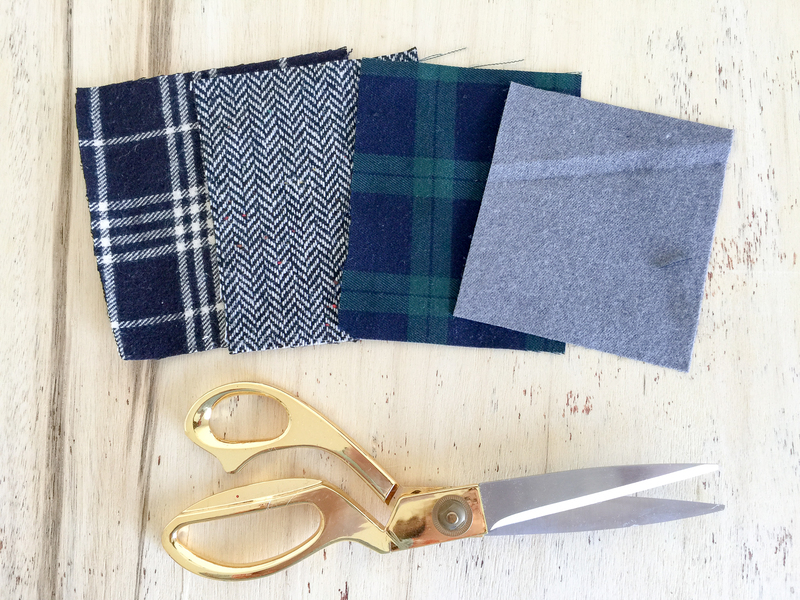 We’ve curated our favorite sewing tutorials and projects that make perfect gifts for guys. Before getting started with your sewing project for that special guy, read up on these helpful Tips for Sewing Gifts for Guys. This canvas zippered bag is perfect for organizing toiletries for travel. Use a waxed canvas or oilcloth, and add monogrammed initials for that personalized touch. 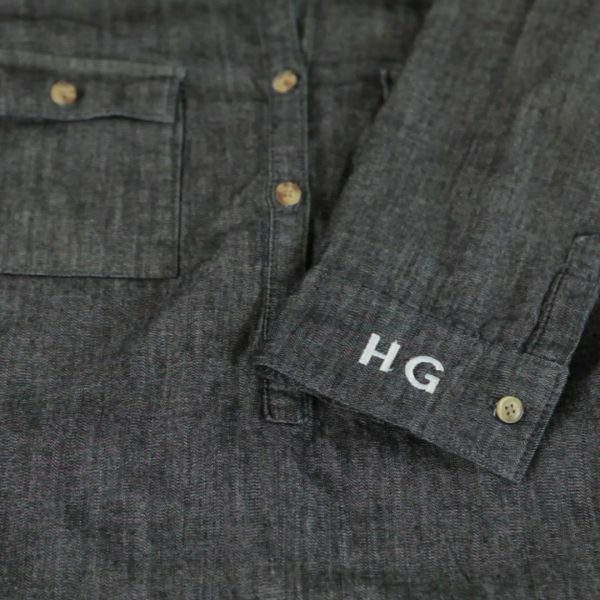 Learn how to make a Monogrammed Wax Canvas Travel Pouch with this tutorial at WeAllSew. 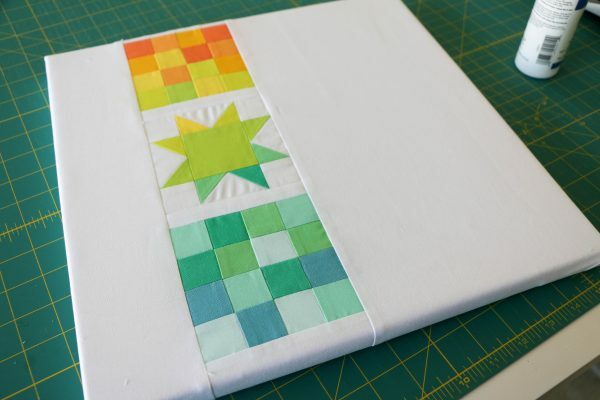 Create a custom piece of unique wall art by stretching a mini-quilt, quilt square, or piece of favorite fabric print on a canvas stretcher. Learn How to Wrap Fabric on a Frame with this how-to. This handy wallet features a money clip to keep bills in check. 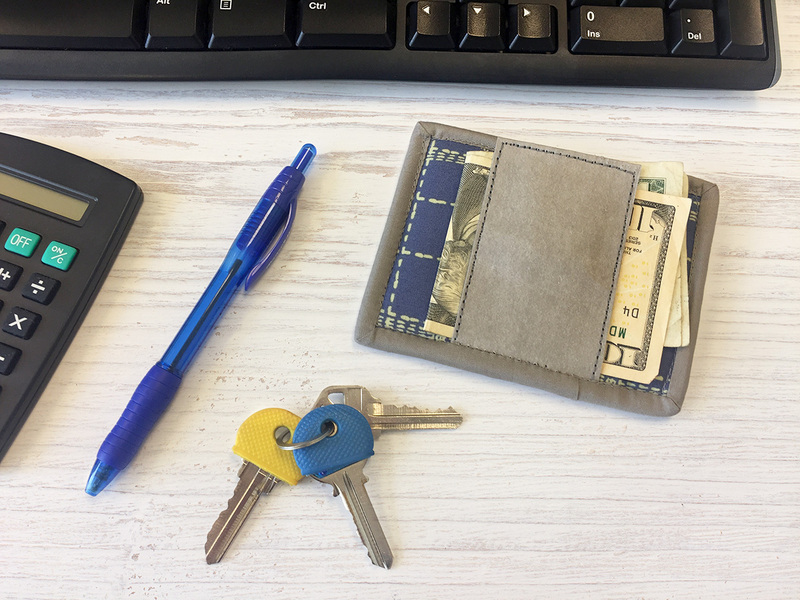 Make a Money Clip Wallet with this tutorial from WeAllSew. Keep sunglasses safe with this stylish leather glasses case, made to measure. 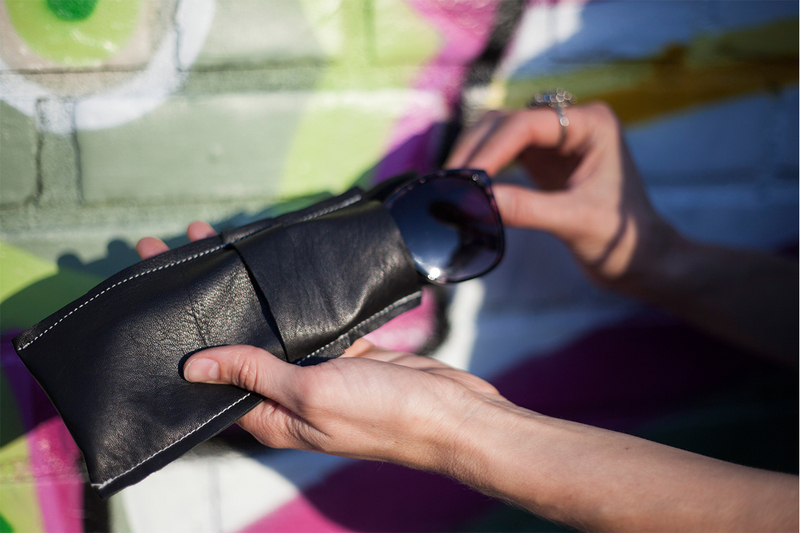 Find the Leather Sunglass Case tutorial here. 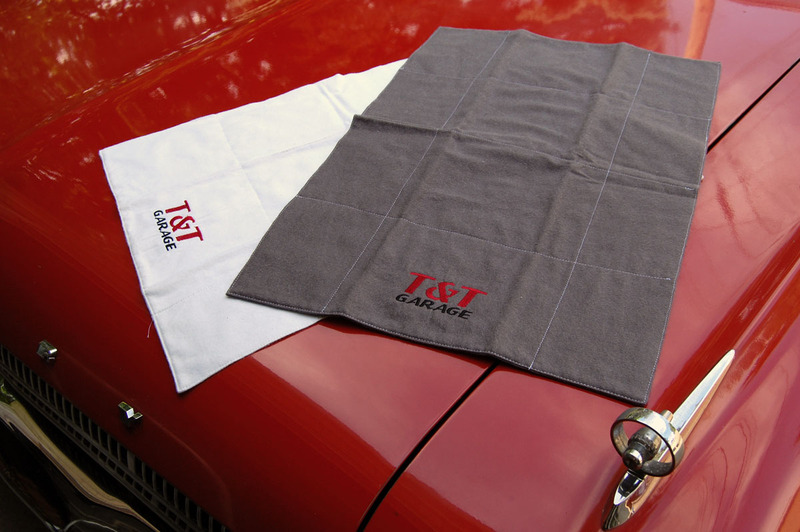 These polishing and detailing cloths are perfect for polishing any vehicle no matter if it’s a classic or brand new. Find out how to make DIY Car Show Detailing Cloths here. This quilt based on strips of colorful fabric makes a strong, bold statement. 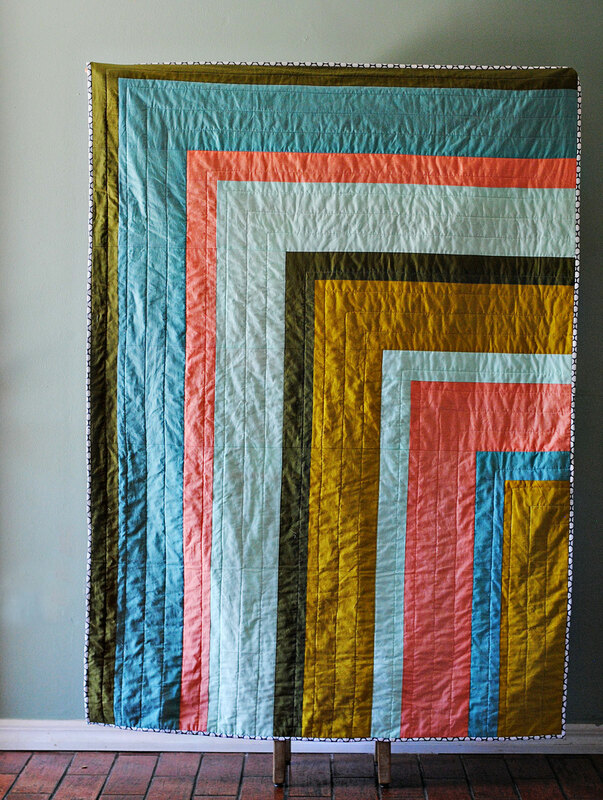 Find the Corner Ripple Quilt Tutorial here on WeAllSew. Do you know a dad who loves to grill the perfect burger? 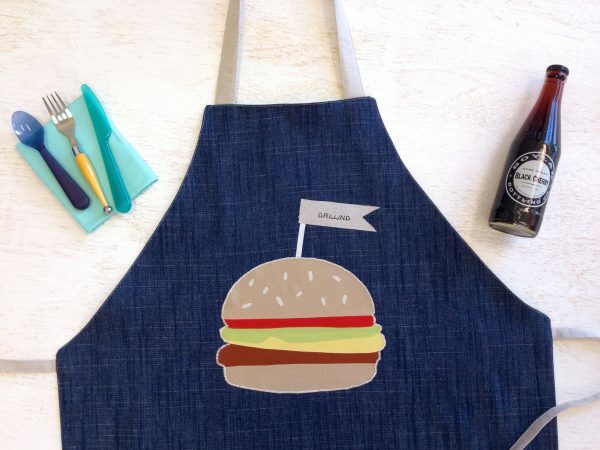 Make a fun Grilling Apron with this tutorial including free downloadable templates to make a juicy burger appliqué. These rope bowls can be the perfect catch-all for keys and change on top of a dresser or beside a bed. 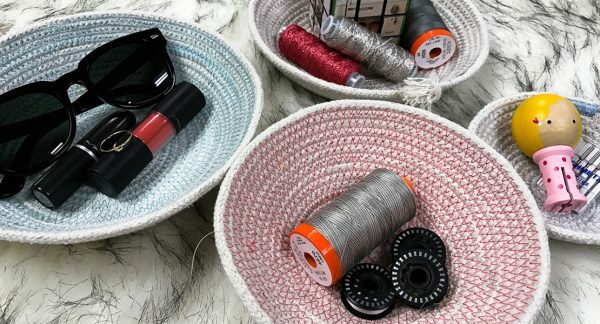 Make a DIY Rope Bowl following these instructions at WeAllSew. 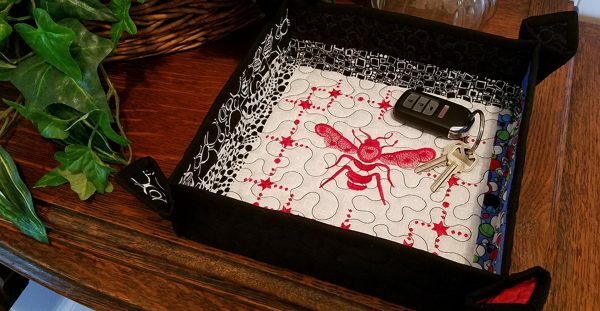 Create a simple quilted tray based on a favorite quilt square or fabrics with this tutorial to make a Quilted Tray here at WeAllSew. 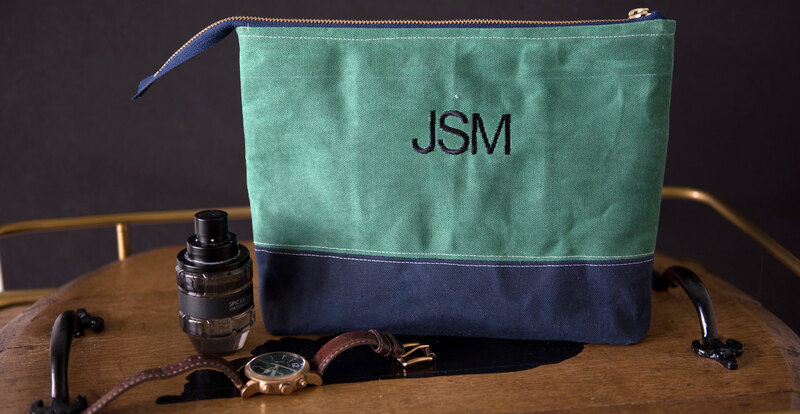 Use these tips and techniques to customize a special gift for dad on Father’s Day. Use the simplicity of BERNINA Toolbox embroidery software to create a Modern Monogram with this tutorial. Turn a favorite children’s drawing into an embroidery design custom made for dad! 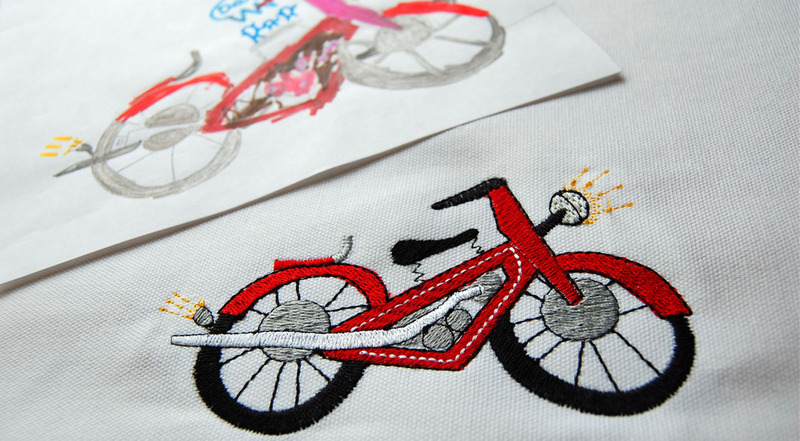 Find tips to take a child’s drawing and turn it into an embroidery design here. 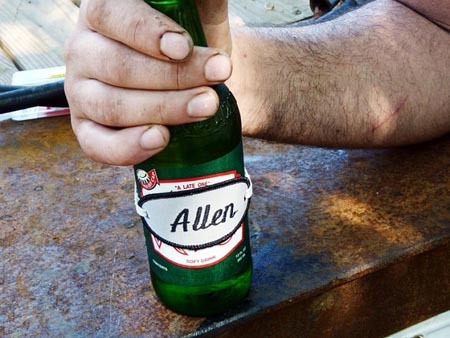 Make a special name badge to mark dad’s drink! Find out how to make a simple DIY Name Bagde brew marker here.